Dan Moshe Speaks at Autotask Community Live! Attendees at this year’s Autotask Community Live! conference, sponsored by the IT business software management company Autotask, learned how to optimize their cash flow through a presentation by Tech Guru founder and CEO Dan Moshe. On a beautiful June day in Scottsdale, AZ, while speaking on the topic “Unshackle Your Cash,” Dan was able to share his insights on how to get money in a more timely manner from clients. He informed the audience on how to spend less time on billing and collections by utilizing Autotask, FreshBooks, Wufoo, and QuickBooks. 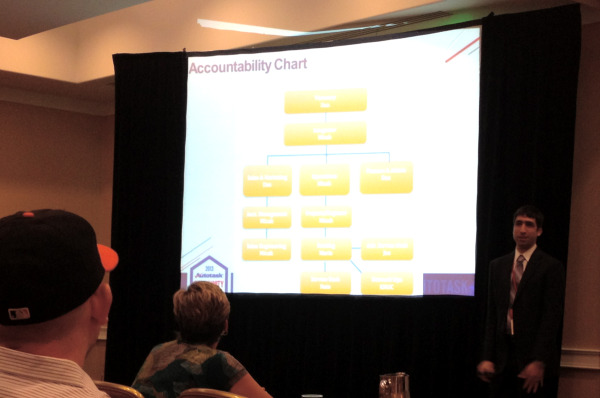 Dan’s very well-received presentation outlined how a successful process starts by setting expectations, billing consistently, and using automation. Dan and fellow conference attendee Micah Thor, Tech Guru VP of Operations, connected with peers and learned valuable nuggets from the experiences of others. They got the latest scoop on the new business analytics and performance improvement features of Autotask. Dan and Micah’s off-hours activity was a visit to the Musical Instrument Museum in Phoenix, described by Dan as “stunning.” As you walked within a few feet of each exhibit, the music/audio accompanying the video would start on your earphones. “It was very cool,” says Dan. Need a tech expert to consult your organization on the best ways to increase your organization’s productivity? The experts at Tech Guru are available to engage and inform the audience at your next event.